Choosing to breastfeed your baby is a wonderful gift to your little one, but it’s not always so easy. In fact, many women find breastfeeding far more challenging than they initially expected. There is so much pressure on breastfeeding and a stigma that something so “natural” should be so simple and easy. However, this is simply not the case! Many women struggle with breastfeeding due to poor latch, tongue ties, undersupply, or even oversupply issues. These are just some of the common reasons many moms choose to be exclusively pumping breast milk for their babies. 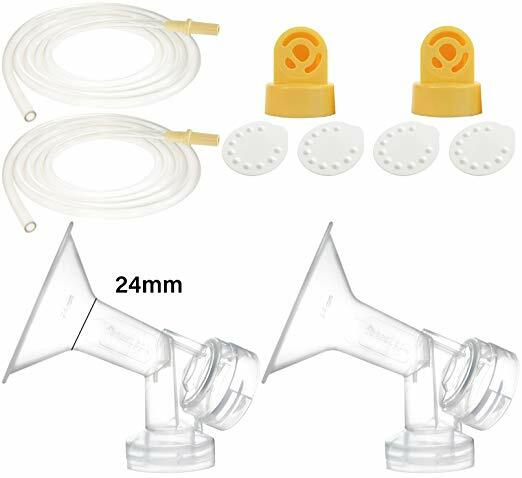 Now, while breastfeeding can be demanding, exclusively pumping is that and so much more. It is a labor of love that women need to be acknowledged for because it is no easy task! Not only do you have to pump every few hours, but you have to then bottle feed, and wash the pump parts and bottles when you are done. It’s a lot of work, but it’s something so many moms do for their little ones. 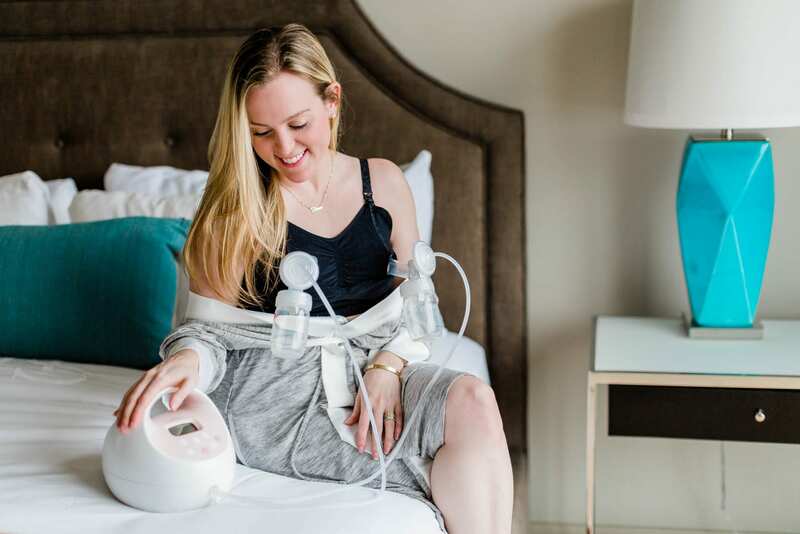 Even though exclusively pumping can be demanding, there are some sanity saving tips that may be able to make it just a little bit easier for you! Pumping can be boring. I mean, you’re hooked up to a machine for anywhere between 10-30 minutes depending on how long your pump sessions last. While you are sitting there, you might as well pick a book to read or listen to a favorite podcast. This will make the time go by faster, and you are actively doing something for yourself at the same time. Make your pump sessions your quiet time away from the chaos of the day. Use this time to do some deep breathing or reflect on the day. Start to embrace the quiet time, and you will be less likely to dread each time it’s time to pump. In fact, you may actually start to enjoy these regular small quiet time breaks throughout the day to recharge a little bit. One of the best tricks is to buy an extra set of pump parts. This is a great trick for busy moms who just don’t have time to wash all of their pump parts every single time they use them. If you have more than one set, you can get away with two pumping sessions before you have to wash and sterilize each part which will save you time when you just don’t have extra time to spare. 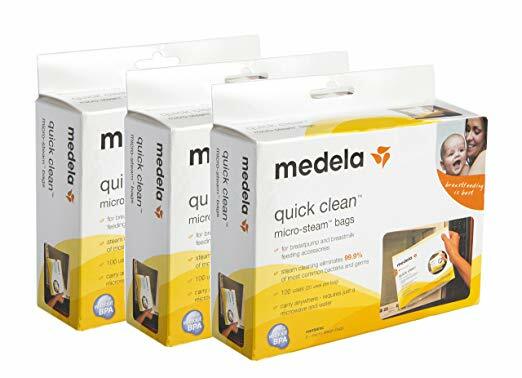 You will want to sterilize your breast pump parts pretty regularly, and the easiest way to do this is to get some sterilization bags. You can easily sterilize your pump parts using these bags in the microwave without having to boil water or wash additional dishes! Pumping bras will make your life so much easier and allow you to pump hands free which is so valuable. Invest in a couple so that you always have one clean and available. There are so many cute options available now that you wouldn’t even know where designed for breastfeeding or pumping mommas. Deciding to exclusively pump for your baby is such as selfless choice that comes with hard work and dedication. There are so many things to check off your list like are you drinking enough water and eating enough calories to keep up with your milk supply? Are you fitting in enough pumping session each day? There are so many things to worry about already, that I hope these five tips help to save your sanity if you have made the decision to exclusively pump for your baby.